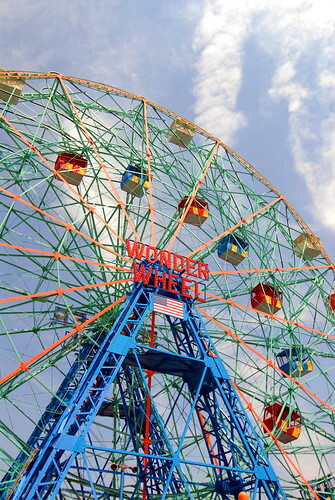 So I looked closer at this user’s photostream and saw that all of the photos had to do with either MetroCard promotions or popular tourist sites that New York City Transit can bring you to. This had to be something official. So the New York City subway has gone social! It’s part of Web 2.0! Congrats! The subway’s flickr account is “MetroCard City 2009“. Edit: NY1 confirms that Monday is the scheduled opening. 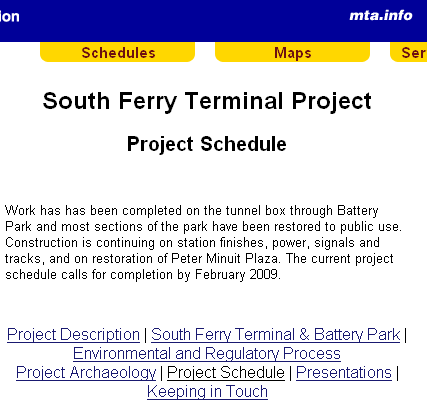 Though NY1 thinks that South Ferry has been closed since December. Someone there needs to get a clue. A station can’t be closed if it never opened. What a way to ruin a beautiful Sunday! The Barge of Death returned to the 207 Street Subway Yard this morning. It passed under the raised Broadway Bridge. 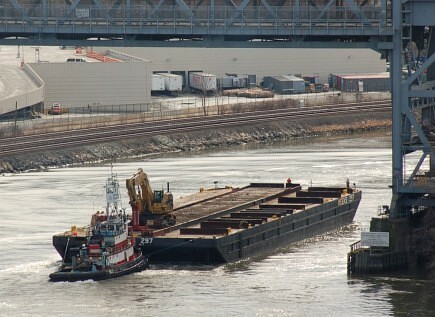 The barge was escorted by the Weeks Marine tugs “Virginia” and “Shelby”. Edit: The trucks barge was seen returning around 12:30 PM. 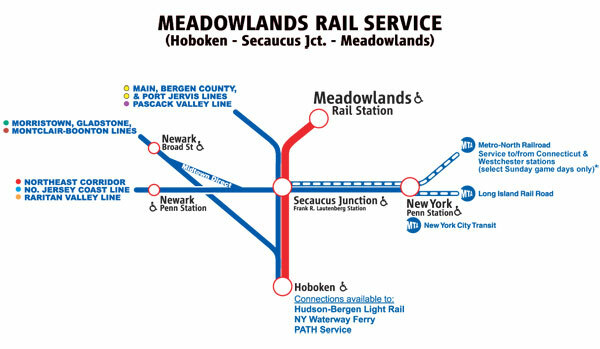 The MTA has revealed a ton of details about the expected new rail service to the NJ Meadowlands Sports Complex starting later this year, for NFL NY Giants and NY Jets football games and other Sports Complex events. Penn Station to Meadowlands Station = $7.75 per person (off-peak round-trip ticket) and $4.00 per person (one-way ticket). Three trains from Penn Station in the first 15 minutes of each hour to Secaucus Junction, and the ride is about 12 minutes. From Secaucus, after making the transfer, the ride to the Stadium is about 10 minutes. Hoboken train runs about every 10 minutes to the Stadium. The trip from Hoboken to the Stadium is about 25 minutes. The Barge of Death departed yesterday morning (Saturday, February 28, 2009) at about 10:00 AM. 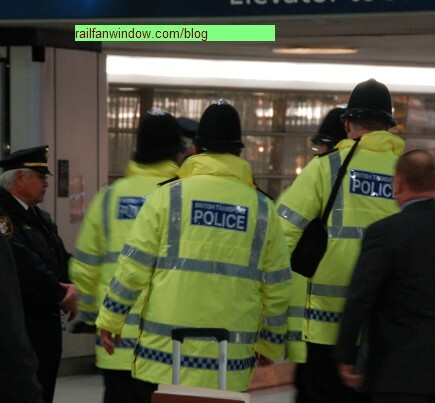 This is the earliest in the day I recall it ever departing. The barge appeared to be filled with about 60% R-32 cars and 40% R-38 cars.